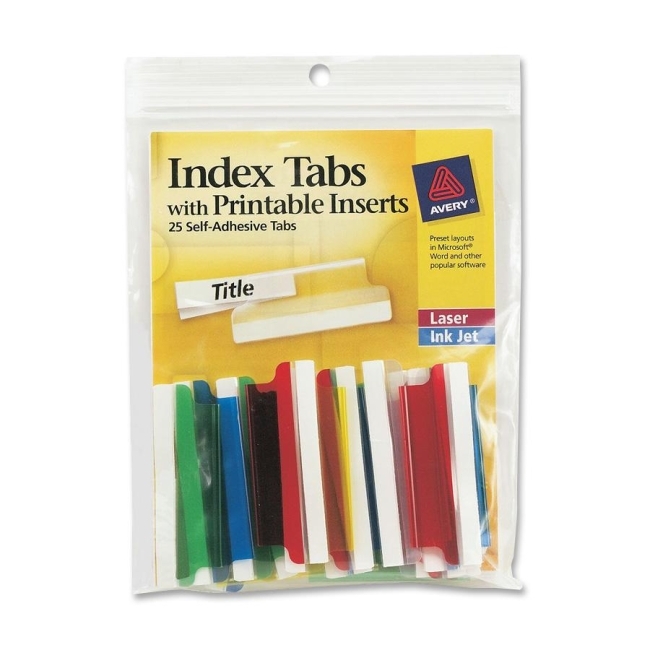 Precut plastic tabs with inserts can be typed, handwritten or laser printed. Feed 4" x 10" sheets through envelope feeder on printer, then separate individual tabs. Adhesive is permanent. Avery offers many easy-to-use templates for Microsoft Word and other popular software programs. Each index tab offers a 1/3" tab extension.